Multiple effects, True-Bypass Switching and large stages (with long cable runs) are some of your tone’s greatest enemies….yes pedal-boards with all their advantages can become tone-thief's! Long cable runs and multiple pedals using True-Bypass switching, tend to ‘muddy’ our sound and reduce the higher frequencies that help define our sound. Even wah pedals on their own can also be suspected of stealing certain frequencies from your tone. 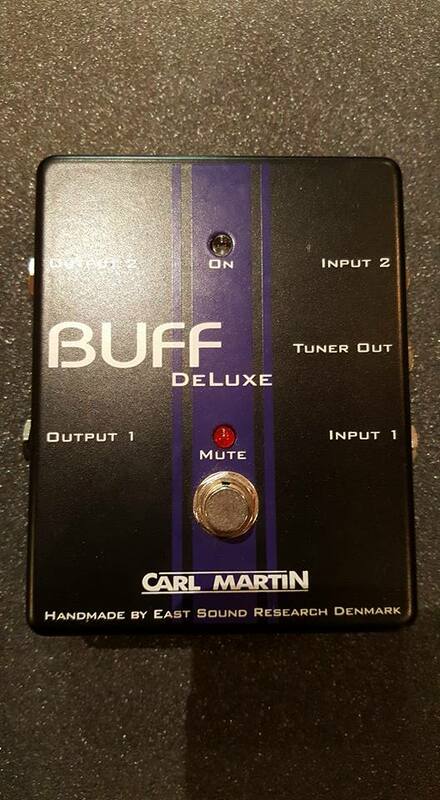 By plugging your guitar into Buff Deluxe (1) and out to your pedals, then from your pedals back into Buff Deluxe (2) and out to your amp, you can protect your tone.